Have you heard about the show called “Extreme Couponing All Stars”? It is a brand new show that is on the TLC channel. If you loved the show “Extreme Couponing”, then you won’t want to miss this! It combines everything you liked to watch in the original show with a brand new, exciting, shopping challenge that pits one Extreme Couponing All Star against another one. Who will win? 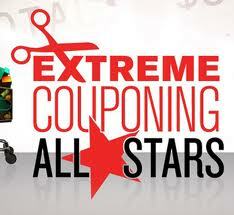 The first episode of “Extreme Couponing All Stars” just aired a few weeks ago in December of 2011. More shows are on the way, and you can watch many of the clips from the TLC website that talks about the show. Each episode features a challenge that puts one extreme couponer against another one, in a shopping challenge. Whichever one ends up having the highest percentage of savings at the end of their shopping trip wins that round. The show will start off with a total of twelve couponers. Elimination rounds will eventually whittle down this group to the three contestants who had the all- around top percentage of savings from their shopping challenges. Those three will advance to the finals. There are nine rules that must be followed for the elimination rounds. Extreme couponers must spend at least $500 retail (before their bonus card or any in store savings is applied). They have to have purchased at least 15 different items, (and they cannot have more than 50% of their total retail purchase come from one item). They cannot preorder more than three different items before the shopping trip begins. Contestants are not allowed to use cash value catalinas in the contest. They are allowed to do one prescription transfer, but it has to be done during the allotted shopping time. They only get thirty minutes to complete their shopping (before heading to the registers). The extreme couponers cannot pay full price for anything they purchased on their shopping challenge. Not even one thing! They also are limited to bringing only one person to the store with them. That person can only help by being the “stand in” for any additional transactions the store policy requires. Each extreme couponer will be scored on a 100 point scale. The rules for the final round get a bit stricter, which will add to the overall tension of the episode. As far as I can tell, it appears that the person who wins the final shopping challenge will basically get “bragging rights”. They will be able to say that they are officially the best of the Extreme Couponing All Stars. Coupon Addiction: A Good Thing! When I think of addictions the first things that come to mind are smoking, drugs, spending beyond your budget, etc. These all sound like terrible things that have damaged the lives of countless people but what about the healthy addictions? People who just have to get in their morning run, the woman who is totally addicted to fresh veggies (me) and the teenager who did a community service project through his school and now he can’t get enough. These addictions can be part of a healthy and fulfilling lifestyle. That is how I view my addiction to couponing. Of course, just like anything else, there always comes a point where you can go overboard. Almost every woman in the world is addicted to chocolate but you don’t see us eating 12lbs of chocolate a day. Yes, some coupon addicts can go overboard. I find that the biggest problem with extreme couponers is that they will purchase items that they will never use just because it is a bargain. I also find that couponers will sometimes buy WAY too much of a product just because it is a great deal. In this instance they are not even saving money. That product will most likely go bad on their shelves and that is like throwing away money. I do not hoard thousands of dollars worth of product in my home and hide cans of soup in my husbands sock drawer but I find saving money to be absolutely fulfilling. I do my best to get great deals on things my family will absolutely use in the next few months. If I happen to find a free deal on something we will not use I get it anyway and donate it to the local homeless shelter. Saving money this way allows me to give back as well as save money for my family. It is an addiction that I am very proud of. While you are out there being the rock star of savings, make sure to think of the good you can do with your money saving talents. Weather it is in your home or in your community make your addiction, A Good Thing! How Much Time Should You Spend on Extreme Couponing? Extreme couponing savings can be amazing. Imagine feeding your family and maybe even the community around you for less than a hundred dollars a month! Some extreme couponers can do even better than that with their coupon clipping. It seems pretty easy to get that great grocery savings until you realize that many extreme couponing can spend up to six to eight hours a day on their grocery lists, from scouting for coupons and deals, to matching coupons to sales, to making multiple shopping trips to the store, not only to shop but also to grab even more coupons and plan out their shopping strategy. This time is what it takes to get that 95-98 percent off savings. And even with all of that, they may not be saving that amount every week. So how much time should you spend on extreme couponing? Of course this depends on your situation, the number of people that you have to feed, and how much time you actually have to dedicate to extreme couponing. A good rule of thumb is to figure out the per hour “salary” you are getting from extreme couponing. For example, if you spend five hours a day, five days a week, that is 25 hours of work that you have put in for extreme couponing. For simplicity, let us say that if you worked for an employer, you might make a salary of $10 an hour (use your real salary if you do work). That means in 25 hours, you could make $250. Now, look at your coupon savings. 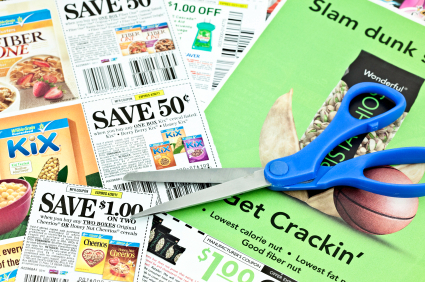 Did you save at least that amount of money by clipping coupons to the extreme? Usually the answer is yes, but you’ll have to figure it out on your own. If you just don’t have that much time or the inclination to devote so much focus to using coupons and calculating deals, you can still get plenty of savings. The way to do this is to go extreme couponing just in one or two stores. This way, you can generally spend only about 30-60 minutes per week on your extreme couponing, but still wind up with plenty of savings, many items for free, and a nice stockpile. You may never approach having a wall of diapers, but you will still be racking up the discounts. You can even reduce this time even more, if you rely on others to do the match ups for you and tell you where to get the coupons that you need. At freecoupons.com, we do just that, with several popular stores. Then all you need to do is print your coupons or collect the Sunday inserts that you need to do the deals. Just remember that everyone’s situation and time available for extreme couponing is different. It isn’t an all or nothing problem, so don’t give up and find out what works best for you. While it is wonderful that Extreme Couponers can get thousands of dollars of groceries for less than $100, things can be a little different when you don’t live in a city or suburb. Extreme couponing in a small town requires different strategies than does using coupons the average way. Why Are Small Towns Different When It Comes to Grocery Savings? There is less competition, so stores don’t have to worry as much about having rock bottom sales and prices. They know that unless you want to drive out of your way, you will pay the prices that they set within reason. Recent changes in store coupon policies, especially price matching, can put those in a small town at a disadvantage. Many price matching policies have changed to limit the distance of comparison stores, so there may not be a store within your range that you can price match against. Box stores, such as Walmart and Target, known for coupon match ups and low prices may not be available in a small town. The same goes for drugstores. This is where many extreme couponers get all of their freebies. Small town stores generally experience issues with limited inventory. They have smaller shelf space and they smaller quantities. There is often a lack of variety of stock as well. 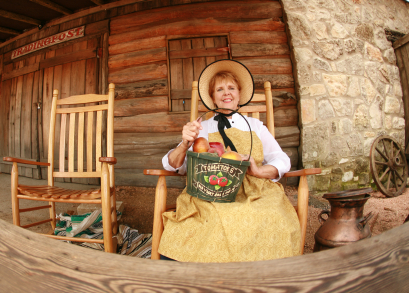 Clearing the shelves at a small town store may consist of taking all six cans of soup. It might take a little more work, at first, to do extreme couponing in a more rural area, but you’ll quickly learn which strategies work best for you. Here are some of the proven tips that will get you your grocery savings. 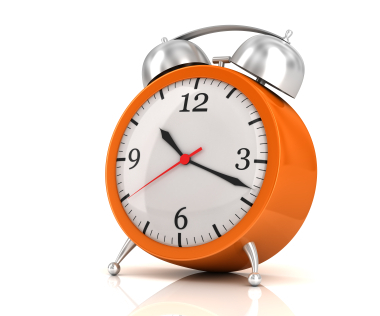 You’ll have to pick the best time to shop to make sure that the products that you need for your coupons are available. Go as early as you can the day the sale starts. You can also time your shopping for when the supply truck comes in (although they have a tendency to be late) and on the very last day of the sale (in case the store was holding back some inventory). If you know that you will be stocking up on a particular item, ask the manager to put in a special order for you that can be held back in the stock room. I’ve done this a couple of times, such as when whole chicken was on sale and I needed four of them. The store makes the extra sale, you are guaranteed to get the product, and other shoppers won’t face an empty shelf. Everyone wins! Sometimes small town stores will be competitive with the pricing at larger more urban stores if you just ask. Bring in a flyer to prove the pricing and ask to speak to the manager. Be discreet, as you will be more likely to be successful if the store doesn’t feel like they have to give everyone that lower price. Extreme couponing in a small town is not impossible. In fact, you may wind up being something of a local celebrity when others notice how much you can save. Are You Buying What You Really Want? One of the problems with Extreme Couponing is the fact that it is easy to get a lot of things that you might not normally buy. In one way, this is a really good thing. With coupons, you can pick up products for free that you once might have wanted to have but didn’t think were an absolute necessity, you can try and like new products that you might not otherwise have been exposed to, and you can generously donate extra items to someone who could make good use of them. In another way (and you knew this was coming), extreme couponing could lead you to buying things that you don’t really want or need. You may wind up spending more money in the long run, if not on the products themselves, then on the storage space needed for items that are just sitting on the shelves. It is easy to contemplate stocking up on tried and true products that your family would consume anyway, canned soup or a favorite brand of tuna comes to mind. But be wary of stocking up on items that you have never tried. If you get something for 70 percent off but don’t like it, that means that you still paid 30 percent to throw or give it away. The determination to get a great deal can be addicting even when it isn’t practical. For some real examples, look to the Extreme Couponing show where shoppers have stocked entire walls with mustard they don’t like or diapers when they don’t have any babies. Many extreme deals come from combing high value coupons with great sales. The problem is that manufacturers are most generous with their discounts on new products, obscure products and pre-packaged convenience products. While food pantries may be able to use some of these products, you may find that many of the best extreme couponing finds, such as single candy bars or microwave popcorn may not be on the most wanted list for food pantries. If you want to avoiding buying things that you really don’t want or use, you may have to take a few steps. First, make your grocery list and check it twice or maybe trice. Cross out anything you know your family doesn’t want or need. Reduce the number of multiple on new products. If you really like the product, try it and go back later in the week. If the shelves are cleared from other extreme couponers, get rain checks, or just wait for the next sale. It will come along, if not at the original store than at a different one. Remember those manufactures are trying to get people to try that product and are offering incentives across many stores. If you really have trouble resisting an extreme couponing deal, enlist a friend of family member to keep you in check and act as a sounding board when you aren’t sure if you are buying what you really want. Is there a backlash to “Extreme Couponing” and if so, how will it affect the price you pay for groceries? Extreme Couponing is the practice of using as many coupons as you can to get your groceries for free or nearly free. From dumpster diving for coupons to stockpiling years worth of supplies, the goal of an extreme couponer is to never pay money for groceries ever again. While getting hundreds or even thousands of dollars worth of free food using grocery coupons can be exciting, there are a few people that aren’t so thrilled with the way this practice works, namely the owners and managers of the stores themselves. That is because smart shoppers can take things a little too far by clearing the shelves and making it harder for markets to sell to the people who are willing to pay full price. If you do use coupons, you may have already seen changes lately that are affecting how much you can save. 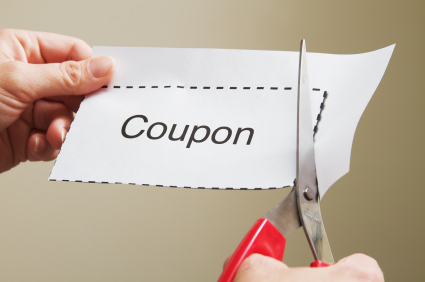 Some stores are cracking down on extreme couponers by changing their coupon policy. Rite Aid, Target and Publix are three places that have recently limited coupon use or have placed additional restrictions on coupons. Another change you may have noticed is in your coupons themselves. Many manufacturer coupons specifically say, “Do Not Double,” and there is talk that the cents or dollar off value of coupons will be coming down. So that $0.75 off coupon for toothpaste you usually expect may now be only a $0.50 off coupon for the same product. This all comes at a time when the “Great Recession” has made it harder for families to afford the new higher cost of feeding everyone. Coupons, if you are willing to do the work, can be a way to offset the rise in food prices. To cope with all of this backlash, shoppers will have to be prepared by carrying a copy of a store’s coupon policy and including a combination of other grocery saving strategies to bring down the bill. For example, buying in bulk and buying generic products, growing your own food and cooking from scratch are all ways to spend less money. When it comes to extreme couponing it can be hard to know when the deals are going to happen and how to prepare for them. Most grocery stores and “box” stores follow the three-month rule. Knowing what this three-month rule is and how to take advantage of it may mean the difference between extreme couponing and just average coupon savings. Another way that the three-month rule helps coupon clippers is by establishing guidelines for stockpiling. Knowing exactly how much to buy as well as when to buy it can help you build a healthy grocery stockpile and prevent grocery hoarding. Here is all that you need to know in order to use those grocery coupons in the right way and stockpile just the right amount. 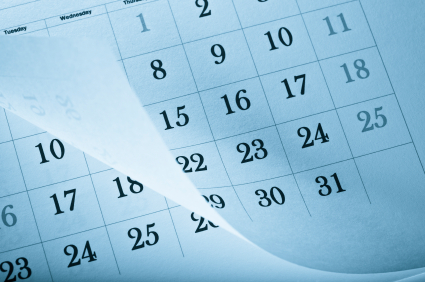 The three-month rule refers to the scheduled time between sales of any given items. Most stores will put an item or an item type, for example pasta sauce, on sale every three months. Knowing the schedule of sales will help you prepare for the next trip, gather your coupons and get ready. At the same time, manufacturers also follow a three-month rule. Usually, the sales and the coupons match up easily, but sometimes they can be a few weeks off. As an extreme couponer, you’ll have have an understanding of both sets of three-month cycles, the sales cycles and the coupon cycles. Sometimes coupons follow a holiday or seasonal cycle instead of a three-month cycle. This means that you should see a lot of baking coupons around Thanksgiving, for example. If you get plenty of new coupons each week, you will always be prepared to match them with the sales. When your item does go on sale, stock up on it by using your coupons but purchasing only enough of the item to last you for 90 days, because you know that the next sale will happen within that time or the next set of coupons will be issued. Having a stockpile is absolutely necessary to be an extreme couponer. You will be able to hold off buying anything that is not on sale and matched with a coupon. This way you always get your groceries for free or almost free. You are only buying those few items each week that are the rock bottom best deals. With the three-month rule, you’ll be able to build up your stockpile gradually. Not only will this let you take advantage of all of the deals, but it will keep your grocery budget under control, since you don’t have to buy too much at once. 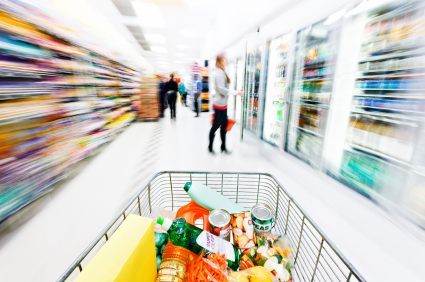 As your stockpile builds up, your grocery bill should be reduced more and more. Get the three-month rule under control and you will soon be an official extreme couponer. There are many things to learn about extreme couponing, and one of them has to do with patience. Getting the extreme savings from clipping coupons and doing deals requires a lot of organization and the ability to know exactly when you can get that best deal. Otherwise, you may just waste your hottest coupons. It is hard to be patient when you find out about a deal you can get with coupons, especially if you get some free coupons. You just want to run our right away and grab up the savings. But wait! In the long run this can hurt you. Sometimes if you rush ahead, you may miss some coupons. Keep all of your coupons organized. You can file them by insert or type of coupon (such as a printable coupon) or clip them all and sort them by item in a coupon binder. Taking the time to know what you have and where it is located will help you a lot when you are ready to go extreme couponing. 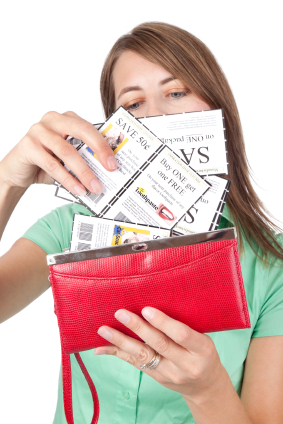 Extreme couponing relies on making lists of items and matching those items with coupons. Be patient when you put your list together. Include enough information about the deal, such as the sale price, the coupons you will be using and the final price. This will help you in the event that there is a problem in your grocery shopping, such as items that ring up at the wrong price or coupons that didn’t scan. What happens if you have a set of grocery coupons that require you to make multiple purchases of different items in the same transaction, but some of the items are out of stock? If you were patient enough to make your list detailed, you can recalculate the deals as needed. When couponers first start clipping coupons and matching them with sales to get deals, they have a tendency to jump on a purchase the first time that they can make a match. I used to do this all of the time. Sometimes, however, it is better not to use a coupon. Why? Well, because you can often hold on to that coupon and get an even better deal. If you use the coupon too early, you might not get the best price. Remember that there is no requirement to use a coupon right away. You, of course, have to be aware of coupon expiration dates, but don’t use a coupon unless you know it is the best deal that you are going to get. Having a price book will help you figure that out. Extreme couponing can be very exciting, especially when you see people getting hundreds of dollars worth of groceries for just a few pennies. But if can hold back a bit and practice patience, you will wind up with the best deals possible.